Glaciers, thousands of years old, were once symbols of permanence. Now that they’re disappearing from Earth, they’ve become reminders of our environment’s transitory essence in the face of climate change. Glaciologists predict that many of the world’s glaciers — from Africa to the Alps — will vanish entirely in the next two to three decades. These glaciers are among the most breathtaking geological monuments on the planet. Now is the time to see these glaciers — before they’re gone. An unsettling phenomenon is occurring in the Swiss Alps. Tourists are flocking to the shrinking remnants of a massive glacier to see global warming at work before their very eyes. Bizarrely, the Trift Glacier’s retreat has caused something of a tourism boon. The trek across the tongue of the glacier to the Swiss Alpine Club hut was once was only accessible by a steep, multi-hour slog up a rough mountain track. By 2004, the glacier had shrunk to the point that it was no longer high enough to be reached on foot. A suspension bridge was strung across the entire length of the Trift Gorge. In 2009, the intimidating original rope bridge was replaced with a decidedly safer steel one. Swaying ever so gently 330 feet above a plummeting gorge and spanning 560 feet from end to end, the bridge is an attraction in itself and one of the longest and highest pedestrian suspension bridges in Europe. Crossing the narrow bridge is not for the faint of heart, but peering down from its colossal height into the mesmerizing Triftsee canyon lake, a giant turquoise pool of melted glacial ice, is thrilling and sobering in equal measure. Gone by 2090 is the current outlook for almost all central Switzerland’s glaciers unless rising temperatures can be significantly curbed. Trift is considered to be especially at risk and will likely be among the first to go, having shrunk more than three-quarters of a mile between 2006 and 2016. Treks to Trift start at Gadmen, a small mountain village in Switzerland’s Bern region. From the bus station, a 10-minute cable car ride takes you to the station at the beginning of the trail, although you could also hike uphill to the start point. From here to the suspension bridge is a 90-minute hike through alpine meadows backed by rocky mountain peaks. For longer hikes, it’s possible to book an overnight stay in the Trift Hut and continue on from there. Deep beneath the surface of Europe’s largest ice cap, Iceland’s Vatnajökull Glacier is a twisting network of caves and tunnels. 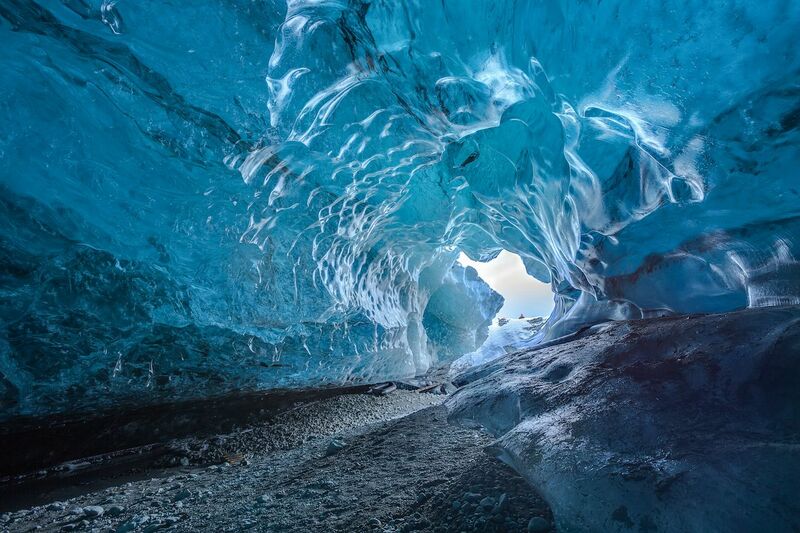 Carved out of translucent blue glacial ice, these ethereal caverns have been nicknamed the “Crystal Caves.” Although tourists can walk atop Vatnajökull’s glacial tongue year-round, excursions to the ice caves take place exclusively in winter. Once inside, your guide will lead you through a network of spectacular caves and grottoes where natural light from the entrance illuminates the solid ice walls and ceilings in endlessly transfixing shades of cobalt, aqua, electric sapphire, and transparent baby blue. Severely impacted by rising summer temperatures, Icelandic glaciers have shrunk by almost 200 square miles since the turn of the century. The majority of the country’s glaciers may vanish altogether by the end of the century if current trends hold. As Iceland’s largest glacier, Vatnajökull (which covers more than nine percent of the country) is likely to be the last Icelandic glacier to disappear. However, the southern part of the glacier is still predicted to shrink by 60 percent over the next several decades. Vatnajökull Glacier is located within Vatnajökull National Park, 148 miles east of Reykjavik. If you want to walk on the glacier or tour the ice caves, you’ll need to arrange a guided tour, departing from the Jokulsarlon Lagoon tourist village located near the entrance to Vatnajökull National Park. The Gangotri Glacier in the Indian Himalayas is one of the primary sources of the Ganges River. Its continued, rapid retreat could have catastrophic effects for the hundreds of millions of people in the region who depend on glacier-derived freshwater for survival. The life-giving Gangotri Glacier is considered one of the holiest glaciers for the local Hindu people. The seven-day Gangotri-Gaumukh Tapovan trek is both a pilgrimage route and one of the most adventurous hikes in India’s Uttarakhand State. Little known among foreign tourists, the trail is a tranquil and crowd-free yet challenging climb to spectacular viewpoints and desolate ridges. The trek passes through several glaciers and bubbling hot springs on the way to Tapovan, a beautiful high-altitude meadow surrounded by panoramic mountain ranges with peaks soaring well over 20,000 feet above sea level. In the latter part of the last century, Gangotri’s retreat has almost doubled — one of the fastest paced melts of any glacial system on record. While its rate of retreat has appeared to slow since 2008, scientists also discovered a worrying loss of mass around the giant 18.6-mile-long glacier. 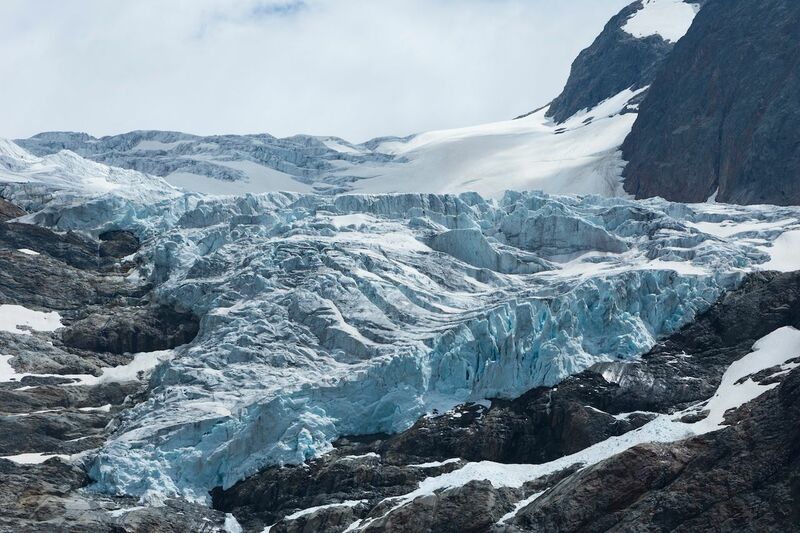 As that loss causes the glacier to thin, its structure could weaken, becoming vulnerable to fragmentation and, ultimately, the loss of vital stored water. Everyone, regardless of nationality, must apply for a permit to trek within Gangotri National Park. Only 150 people are allowed to enter the park per day. Permits can be picked up and paid for at the Forest Department Office in Gangotri town, a six-hour bus ride from the nearest train station, Haridwar. You can tackle the Gangotri-Gaumukh Tapovan trek independently, but you should only do so if you have experience with multi-day, high-altitude treks. Guides and porters can easily be hired in Gangotri town. Alternatively, you can book an organized, fully equipped group tour including transfers to and from Delhi. The most-visited glacier in the Canadian Rockies is Jasper National Park’s Athabasca. Probably the world’s most accessible glacier, its base lies just a few minutes stroll from the nearest parking lot in Alberta’s magnificent Icefields Parkway. However, the stroll keeps getting longer by about 30 feet every year. Since 1992, the snout of the glacier has retreated over 656 feet. Part of the colossal Columbia Icefield that forms the continental divide between Banff and Jasper National Parks, the massive glacier is clearly visible from the town of Jasper, around 62 miles to the south. Canada’s landmass supports approximately 20 percent of Earth’s glacial ice volume, outside of the Antarctic and Greenland ice sheets, yet the country’s glaciers are considered among the most endangered in the world. Since 1844, the volume of Athabasca has halved. Where almost a mile of glacier stood a century ago is now a moon-like wasteland of gravel and rock. Monitoring efforts in recent years show the surface of the Athabasca Glacier is losing at least 16 feet of ice a year. 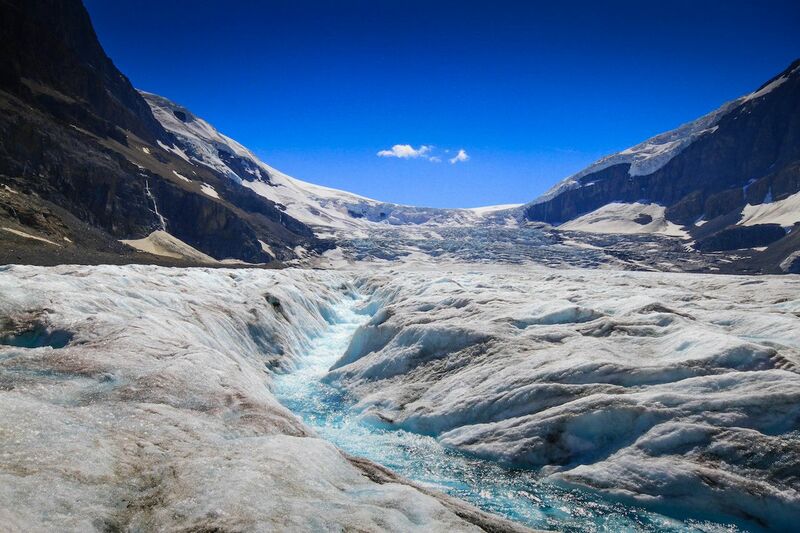 Scientists have given Athabasca a life expectancy of under a century, which is astonishing for a glacier of its size. A short trail leads from the Icefield Parkway to the foot of Athabasca, but the best way to see the glacier is to join a guided walk across the glacier surface. The tour kicks off with a ride in a massive all-terrain vehicle to the start of the Glacier Skywalk, a cliff-edged walkway through a prehistoric Ice Age landscape. The finale is a stroll along a glass-floored observatory platform where the majestic Sunwapta Valley spreads out 918 feet beneath your feet. 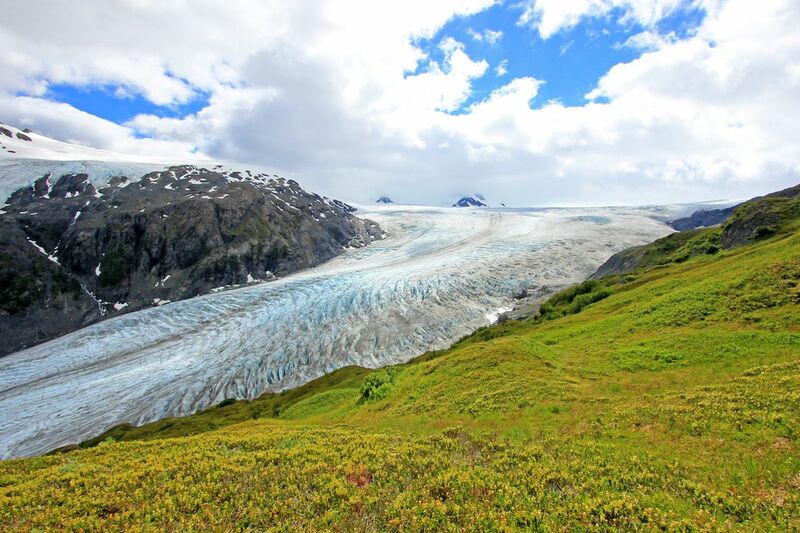 If it’s hard to get a real picture of what global warming really looks like, a visit to Alaska’s Exit Glacier puts things into startling perspective. Along the winding trail to the glacier’s toe are signs marking 195 years of accelerating retreat. The first sign, labelled “1815,” is where the glacier once extended past the grounds of the visitor center. The last sign was placed in 2010 and is over a mile away from the first. Today, there’s a considerable chasm between the final marker and the foot of the glacier. Despite the tremendous loss of ice, Exit Glacier remains one of the most impressive sites in Kenjai Fjords National Park with its crystal canyons and blue crevasses, tumbling down from the mighty Harding Icefield. So extreme and so visible is the extent of Exit’s retreat that the glacier has become a poster child in the fight to raise climate-change awareness. From 1815 to 1999, Exit receded an average of 43 feet per year. Since then, Exit’s rate of retreat has sped up alarmingly, and the glacier is now retreating both in winter and summer. In just one year between 2013 and 2014, scientists recorded a retreat of approximately 187 feet. A shadow of its former self, Exit may bow out completely in the next few of decades. Just 3.7 miles north of the port city of Seaward, Exit is considered a “drive-up” glacier since it can be reached via an easy 20-minute paved trail from the parking lot. Free guided walks with the park rangers are offered four times a day from the visitor center. Jorge Montt Glacier is one of the major tidewater glaciers of the Southern Patagonia Icefield, the world’s largest non-polar expanse of ice. In this narrow ocean channel at the tip of Chile and Argentina, saltwater and ice clash together in a thundering display of power and beauty, creating a minefield of icebergs of every shape and size. For the tourists in boats watching the spectacle unfold, it’s an awe-inspiring sight — but a disturbing one nevertheless. Jorge Montt is Chile’s fastest retreating glacier, and a NASA study declared that the Northern and Southern Patagonian Icefields are thinning at a faster pace than any other on the planet. In the last 25 years, Jorge Montt’s calving front has receded more than five miles. The current prognosis is that Jorge Mott will be lost entirely to the sea within a few decades. 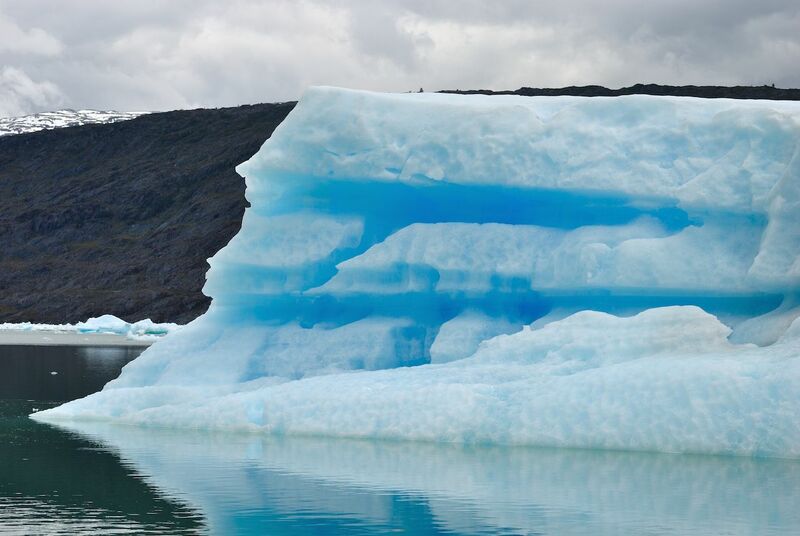 The only way to witness the destructive powers of this dramatic glacier up-close is by boat. Independent travelers can make their way to Caleta Tortel, a port town where small boats regularly pick up tourists from the harbor and set sail for the glacier on a full-day round trip. More organized cruises depart from Puerto Natales, where multi-day catamaran voyages set sail for the wild Patagonian fjords. Experienced kayakers can undertake an epic two-week paddling expedition through the icefields, tracing the spine of the southern Andean Ranges and exploring cathedral-like sea caves on the way to the infamous glacier. At the summit of Mount Kilimanjaro, the highest mountain in Africa, are the glistening remnants of the world’s last remaining equatorial tropical glaciers. Kilimanjaro rises in perfect symmetry over the gently rolling hills and forests of northern Tanzania, its icy slopes and barren, snow-capped peak forming one of the most quintessential postcard images of Africa. 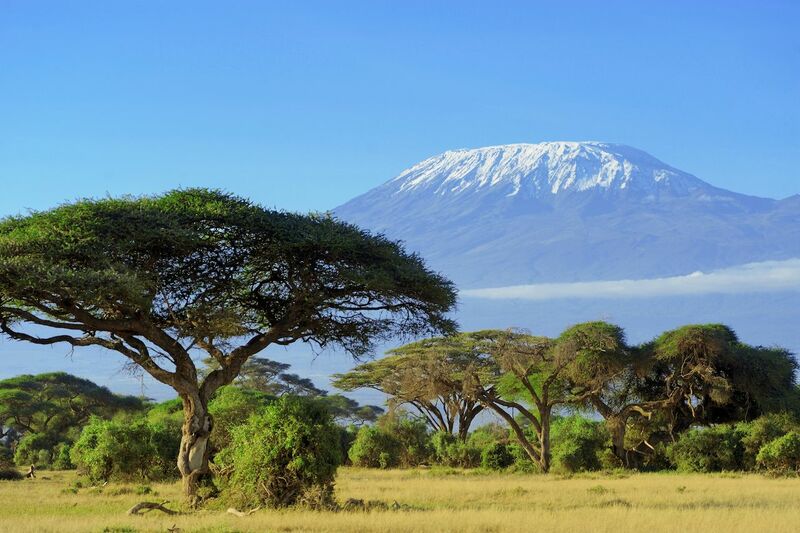 Soaring to 19,340 feet above sea level, Kilimanjaro is the tallest freestanding mountain in the world. The permanent snowcap that makes Kilimanjaro such a striking sight is due to the presence of glaciers and icefields. Sixteen glaciers were named on Mount Kilimanjaro in the mid-20th century. By the 1990s, four had disappeared, and the rest are retreating despite heavy snowfall in early 2018 temporarily increasing the accumulation of ice at the summit. Since 1912, Mount Kilimanjaro has lost around 82 percent of its ice cap. The ice field Ernest Hemingway called “the eternal snows” could be all but gone in under a decade, according to a report by NASA, which photographed Kilimanjaro in 1993 and 2000, clearly showing the dramatic decline in the size of the icefield. Climate change has meant fewer storms and less cloud cover, consistently exposing Uhuru Peak to the sun’s burning rays. Deforestation, which has led to a decrease in rainfall in the region, has also dealt the glaciers a heavy hand. Mount Kilimanjaro is the world’s tallest walkable mountain, requiring no prior mountaineering training or specialized equipment. However, getting to the top is still a feat of endurance and an above-average fitness level is essential. Tourists may only attempt the climb with a registered guide or trekking agency. Most reputable operators provide food, porters, and all the essential gear you’ll need on the climb. The easiest route to the summit is the Marangu Route, which offers the comfort of overnight stays in bunk-bed-equipped huts rather than requiring tourists to camp out in tents. 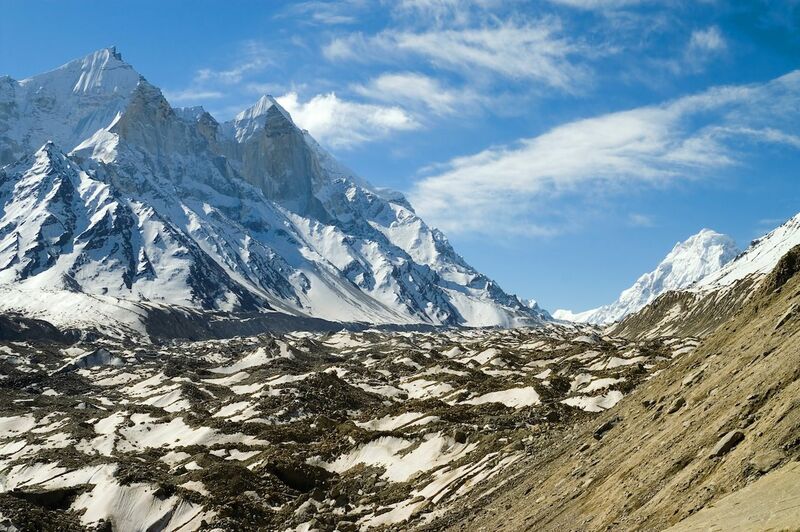 This trek can be completed in a minimum of five days. More challenging yet more scenic, the camping-only Machame Route has become the preferred path for climbers. The idea is to reach the summit in time for sunrise and watch the early-morning light glint off the jewel-like remains of the legendary last glaciers of Kilimanjaro.